According to the Global Burden Of Disease Report, 358 million people suffer from asthma worldwide. Asthma is a chronic condition that is caused due to the inflammation of the air passages in the lungs and affects the sensitivity of the nerve endings in the airways so they become easily irritated. In an attack, the lining of the passages swell causing the airways to narrow and reducing the flow of air in and out of the lungs. Asthma can be controlled with effective use of inhaled medication. Almost any pulmonologist can tell that not all asthmatics have their inhaler technique patted down to perfection. According to research published in he Journal of Allergy and Clinical Immunology: In Practice, 84 percent of the patients used their inhaler incorrectly missing out on most of the benefits and relief it may provide. An improper inhalation technique can lead to decreased efficacy through reduced deposition of medication in the lungs. This could lead to reduced therapeutic benefit, less improvement in symptoms and thus, causing a delay in relief. Using the wrong technique could also cause side effects such as oral thrush or a sore throat, as the medicine might be hitting the back of throat or remaining on the tongue. Inhaled asthma medicine needs to reach the airways to effectively work. 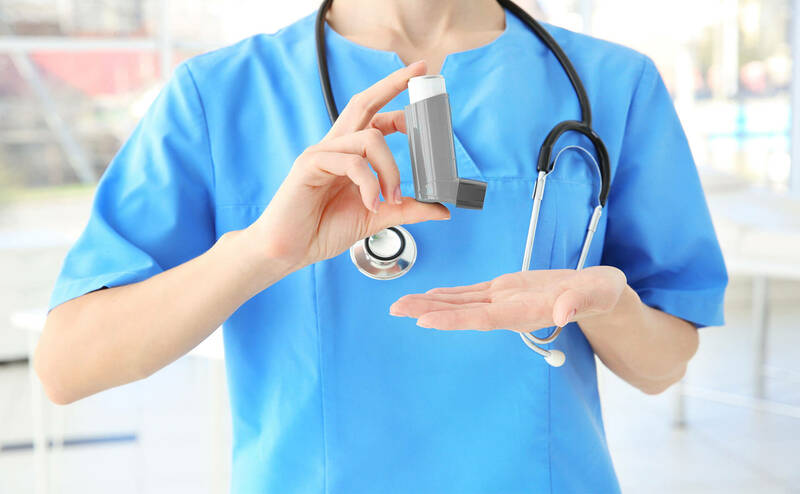 While there are many types of inhalers available, there are a few common errors that can occur with any of the variants. 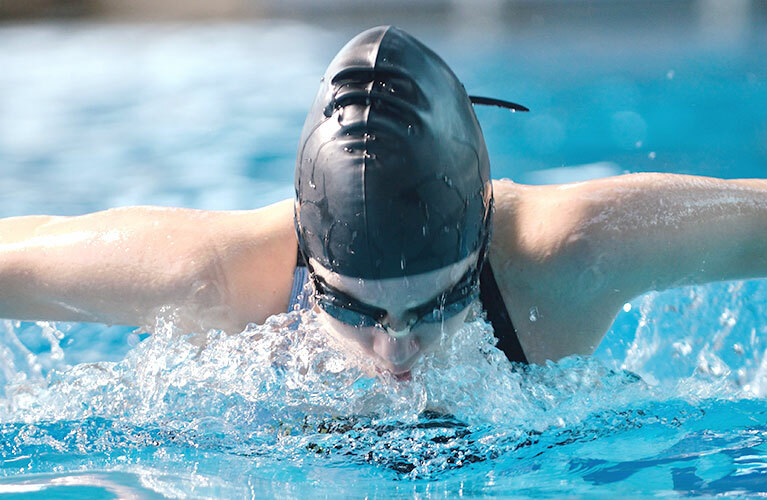 These mistakes can act as barriers when it comes to the effectiveness of the medication. Read on to know common mistakes to avoid while using inhalers. It is extremely crucial to label your controller and reliever to differentiate between the same and avoid any confusion. Not breathing out before inhaling the medication from the inhaler is one of the most common. When you do fully breathe out, just before inhaling the medication, you create more space in your airways for the next breath in. This ensures that you can breathe in deeper and longer so that the medication can reach deep inside your lungs effective as possible. Incorrect techniques when using inhalers increases the risk of side effects like dysphonia and can affect the deposition of the medication into the lungs. Every type of inhaler device has certain manoeuvres when it comes to usage. It is important to read the instructions and also to have the technique checked by a doctor. If you’ve been advised to hold your breath in for a few seconds after taking in the medication from the inhaler, make sure you do so. The airways stay still when you hold your breath. This gives more time for the medicine to get to your lungs. Reading the usage pamphlet as well as consulting your doctor about the proper positioning of the inhaler is important. Many a time, due to incorrect positioning the medication is remains on the tongue or is released into the atmosphere instead of being inhaled. The positioning of your head and angle considerably affects the amount of medication that reaches your lungs. Ensure that your inhaler is in the upright position, with the mouthpiece at the bottom. Put the mouthpiece between your teeth, without biting, and close the lips to form a tight seal. Getting clarity on dosage and intervals between doses is crucial when you visit your doctor. Not leaving the time between doses is a major mistake to avoid while using inhalers. If another dose is required, waiting for the suggested time by your doctor before the second dose enables your lungs to effectively take in the medicine. Also, not keeping a check on the number of doses left can lead to major risks especially while travelling. In case of counters, when the colour changes from green to red, indicating fewer doses, consider purchasing a new inhaler. Even if you use your inhaler the right way, failure to rinse your mouth with water can lead to local side effects like hoarseness of voice and thrush. With each use, your leaves traces of propellants and medication in the mouth-piece. Wiping the mouth-piece with a dry cloth at least once a week is advised. Regular cleaning can avoid accidental inhalation of bits of fluff from the mouthpiece. Storing your inhaler in a clean, dry place with the lid on is advised. Not checking the expiry date of an inhaler is another assessable mistake. An inhaler may not be effective once it has passed the expiry date. Your physician would be the best guide to explain to you about the most effective way to use an inhaler. With new advances made frequently, your doctor would be able to identify upgrades needed, if any and also monitor the dosage of medication. Inhalers require careful usage on part of the users. Avoiding these common mistakes enlisted will help you use inhalers well. End with cross link with our How to use inhaler video which is on our site itself.